In the north-central region of Nepal, deep in the Himalayan Mountains is an incredible area and one of the best mountain areas of the mountains, the Annapurna Massif. 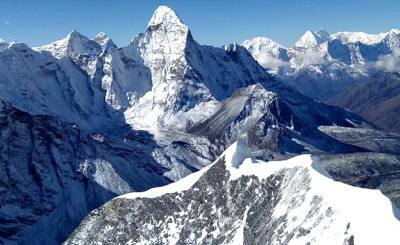 With a height reaching to 8,091 meters it’s an indomitable section of this great range of mountains. One of the premier ways to explore this wonderful and unique place in the world is by hiking the Annapurna Circuit Trek. 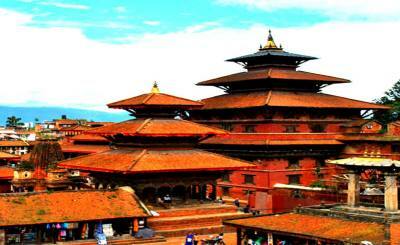 This 21-day trek explores both the southern and the northern area of this region as the trail travels in a larger circle from just north of the lakeside city of Pokhara. 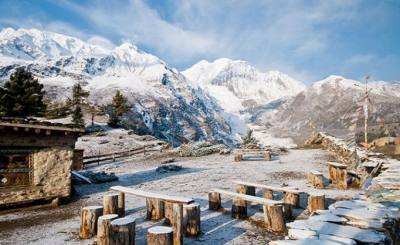 The Annapurna Circuit Trek has many attractions both natural and culturally specific to this region. 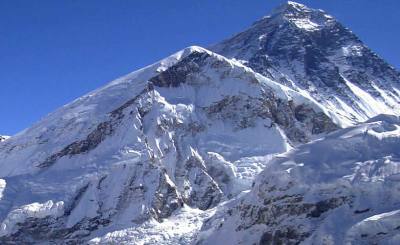 Views of Dhaulagiri (8,167 m), Machhapuchhre (6,993 m), Annapurna (8091m), and Manaslu (8,163m), are among the soaring peaks displayed along this trail. The high trail portion of Pisang to Manang are some of the most well preserved Tibetan style villages and the views are simply spectacular. These and more are why the Annapurna Circuit Trek enjoys such popularity, even though parts of the trek can be quite demanding both physically and mentally. 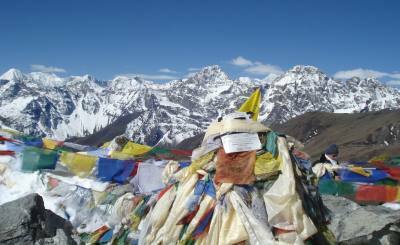 However, despite some of these challenges the rewards for trekking this incredible trail are worth the effort. Just the range of ecosystems the trail passes through is enough to entice any ardent adventure to take this incredible excursion. From lush sub-tropical jungles to the stark, high alpine environment where you feel like you could reach out and touch the sparkling summits, the traveler will be compensated thoroughly with postcard picture scenes. 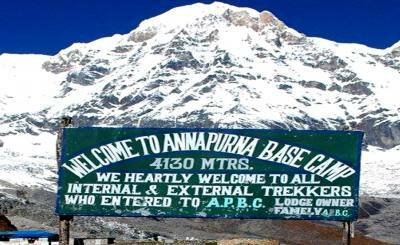 The Annapurna Circuit Trek route is a circular trail and can be done clockwise or counterclockwise. Counterclockwise will provide quicker access to the alpine environment, however, the trekker will find the trail will be quite steep to gain such immediate entry into this stark but magical high-altitude arena. Clockwise tends to be the more popular way to travel as the trail's grade is a bit gentler than the opposite. From just north of Pokhara, the trail starts low and as it progresses north continues to climb culminating in reaching the Thorung La Pass at an elevation of 5416 meters. 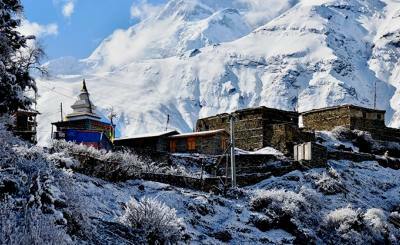 The special Ecoregion of this trail is enough to entice anyone to journey into the realm of the Annapurna Range, but this area also enjoys significance in aspects of culture and religion along the Annapurna Circuit Trek. The trek features different distinct ethnic groups with lovely and colorful traditional villages filled with groups such as the Gurung People in the south, with their more agrarian based lifestyle. 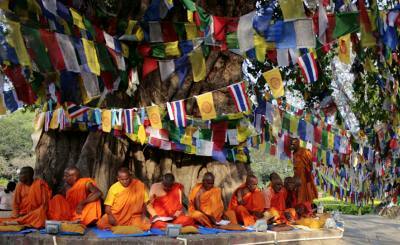 And to the north the ethnically Tibetan people of the high elevations with livelihoods based more on raising livestock. 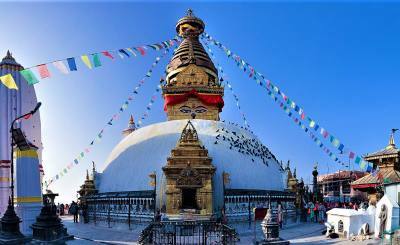 Their Tibetan Buddhist faith will be visible as you pass towering Chortens, or stupas along the trail, and delicately etched Tibetan script on large and small plates of rocks proclaiming mantras used in their daily practice. The best times to visit this incredible landscape is the high seasons of March-May and September-November. Each has its own unique beauty to be discovered. For example, the spring boasts blooms of thick rhododendron creating a tunnel of brightly colored flowers in sections of the trail, while the fall will see larches in the high elevations turning a brilliant yellow-gold. 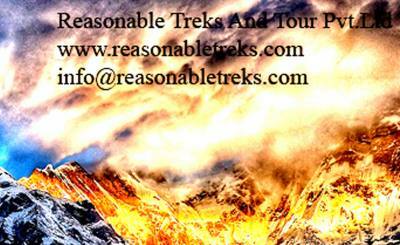 The Annapurna Circuit Trek is one of the premier treks in the Nepalese Himalayan Mountains. For those who find hiking to be their chosen mode of transportation during their adventures, this trek should be at the top of the list. With its incredible mountain scenery, cultural treasures, and its diversity in environments, it’s a trek not to be missed.